A community member of Ambitious & Creative Entrepreneurs Aligned With Soul and Making Bank asked these questions about uncovering her gifts: What are a person’s gifts? How do you uncover them? How do you give them power? How do you use them for good? How do you grow them constantly? To answer these questions I drew from multiple areas, channeling a portion of the answer and also reflecting on my own experience in addition to experiences with private clients. Your gifts are found within you. They are your innate abilities that you’ve had since birth and most of them you may have been conditioned to see as unimportant or silly. The first step to uncovering your gifts is to look for them. Start stating this mantra “I am going to recognize my gifts. I am going to recognize my gifts. I am going to recognize my gifts. 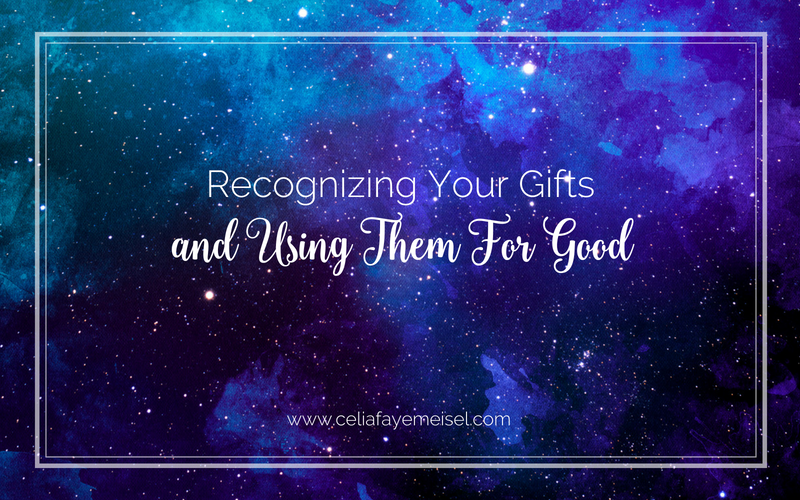 I AM GOING TO RECOGNIZE MY GIFTS!” Doing this will energize you and your gifts. In the commitment to the practice of these mantras, you will plant powerful seeds of growth that will harness the power of your gifts in your life. The process starts in your unconscious mind and will grow from there. You will use your gifts for good, for your highest good first and foremost. You will become a positive influence in the lives of all the people you reach. Please note that with mastery comes practice, doing this once or twice will not get you the results. Daily practice and commitment to yourself are required to bring gifts and mastery of the highest level through. Are you in a place where you are ready to shift your gifts from good to great? To step into a higher level of living through an expanded level of consciousness and business that is blooming as a result? Apply for a Zone of Mastery Consult today by visiting https://celiafayemeisel.com/consult and fill out the short application. Celia and her team will be in touch with you promptly. We love supporting multi-passionate visionaries and dreamers with grounding their dreams into 3D reality.